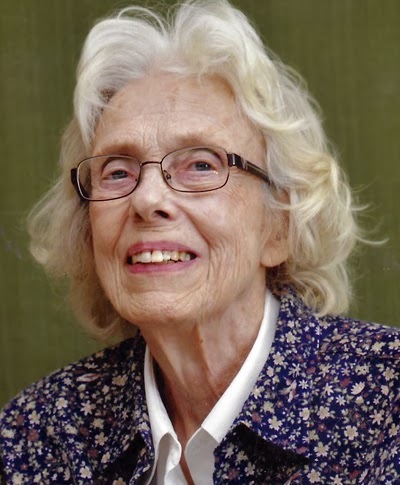 Patricia Scherf-Smith, 83, of Urbandale, Iowa and former long time resident of Brooklyn, NY, died Sunday, January 12, 2014, at the Deerfield Village in Urbandale. Patricia Scherf-Smith, was born on October 30, 1930, in Canton, South Dakota. She was an avid collector of miniature souvenir buildings and houses. She was an early and active member of the Souvenir Building Collectors Society. In lieu of flowers, donations may be made to Unity Point Hospice of Des Moines or the Souvenir Building Collectors Society. She earned her Bachelor of Arts degree in English/Journalism from Cornell College in Mt. Vernon, Iowa in 1952. She was united in marriage to Carlton Smith in Chicago, Illinois in 1965. Carlton preceded her in death on March 9, 1981. Patricia was a reporter for the Marshalltown Times-Reporter from 1952 until 1954, and then moved to Chicago in 1954 until 1955 where she was PR Assistant for the Rock River Conference, for a Methodist Church, from 1955 until 1959, news release editor for the American Medical Association, and from 1959 until 1963, was press relations specialist for the American Hospital Association, and from 1963 until 1965, she was the public relations director for the American Academy of Pediatrics before moving to New York. In both cities she worked for national non-profit organizations, among them the American Medical Association, American Hospital Association and American Society of Mechanical Engineers. Patricia was responsible for National television and radio promotional campaigns, production of feature films, TV spots, and few features, local and national media relations, administered in publications as a division within the department, the program ranged from full-length books to research reports, pamphlets, and newsletters, with about 150 titles in print. Exercised editorial judgment and selection, and supervised the writing, copy editing, production and distribution of all publications. Served as executive editor of the field’s leading monthly professional journal, grant procurement for audio-visual training materials, and supervised a professional library of 35,000 volumes, the Helen Keller Archives and the Foundation’s Record Center. Please share you memories of Pat in the comments link below. Thanks Dave for posting this. Pat was a special Lady. Does anyone else have any photos or stories to post? I'd love to see them. Thanks, Joe K.